Tre'r Trer Ceiri Hillfor. Llanaelhaearn, Gwynedd, Wales. Celtic Britain published by Orion. 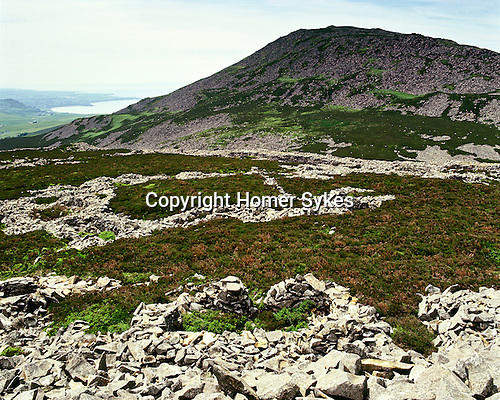 An Iron Age hillfort situated, 1,800 feet up the most eastly of the three peaks that make up Yr Eifl Mountain. Also known as 'The Town of Giants' built proir to the Roman occupation of Wales AD 78 it was occupied for four centiries. The site covers five acres and is comprised of a huge perimiter wall and over 130 hut circles.